Age is just a number. 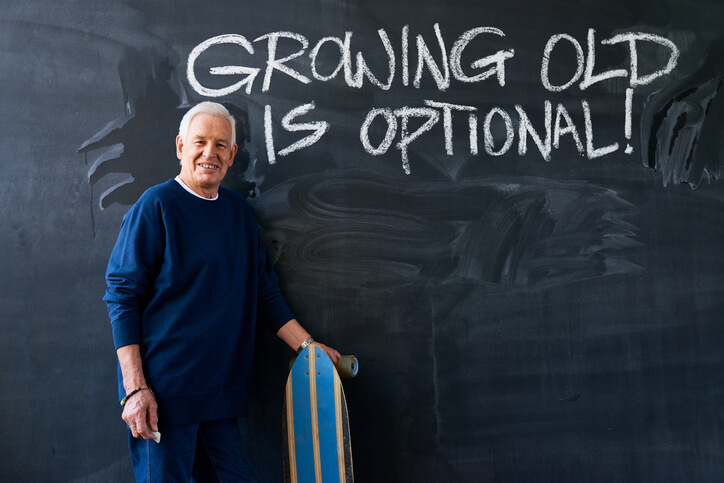 In fact, even the word “old” means less and less these days as many of us stay healthy and active well past the traditional retirement age of 65. Is 80 the new 40? Or, is 100 a better benchmark age for enjoying life and achieving interesting things? Preparing for retirement means more than using an award winning retirement planner and making sure you have adequate savings. You also want to have a plan for how to spend your time. The following amazing people certainly provide inspiration. Here are 12 older adults who are doing amazing things. At the age of 90 and after the death of his beloved wife, World War II veteran Patricia (formerly Peter) Davies decided to start hormone therapy and live her remaining days as the person she always felt she was inside — a woman. Education is certainly associated with youth. However, more and more older people are going back and earning degrees. Paul Siromoni, an esteemed humanitarian, earned a PhD at the age of 90. At 95 Nola Ochs, a Kansas woman, earned her Bachelor’s degree and then went on to earn a master’s in the age of 98 — even moving into campus dorms. An Ironman competition involves completing — in one day — a 2.4 mile swim, a 112 mile bike AND a 26.2 mile run (a marathon). This is difficult in your prime, but Sister Madonna Bruder (she is a Catholic nun) has done over 45 of these races and continues to compete at age 86. Mount Everest is the tallest mountain in the world and climbing it is a dangerous grueling undertaking. However, in 2014, Japanese climber Yuichiro Miura reached the summit and became the oldest person to reach the top. It was his third time reaching the summmit and he recently revealed that he would like to try again at 90! The oldest woman to summit was Tamae Watanabe who got there at age 73. Being relatively old and winning a Nobel Prize is not so surprising. The Nobel is often the pinnacle of accomplishment after years of research. However, Leonid Hurwicz was still actively publishing at 90, the age when he received the Nobel in economics. Frank Shearer was an active water skier at age 100. At 90, Gloria Tramontin Struck still roars around on her Harley-Davidson motorcycle and intends to embark on a cross country trip at 100. Minoru Saito was 77 when he broke world records sailing around the world alone. It is not clear what was harder on his journey — the tsunamis, icebergs, massive waves and typhoons or back pain, a hernia, bad knees and other aches and pains we all may be familiar with. According to the Guinness World Record books, the oldest newlyweds were George and Dorren Kirby who married when George was 103 and Dorren 91. No matter how you intend to spend retirement, make sure you document and maintain a financial plan that lets you accomplish your goals well into a long healthy life. The NewRetirement retirement calculator was named a best retirement calculator by the American Association of Individual Investor’s (AAII). This easy to use system puts you in the driver’s seat. You control the inputs and assumptions for personalized and clear input about your finances.